Fantastic ... felt toasty at -25C even when the wind picked up. It was a pleasure to live in them day and night. 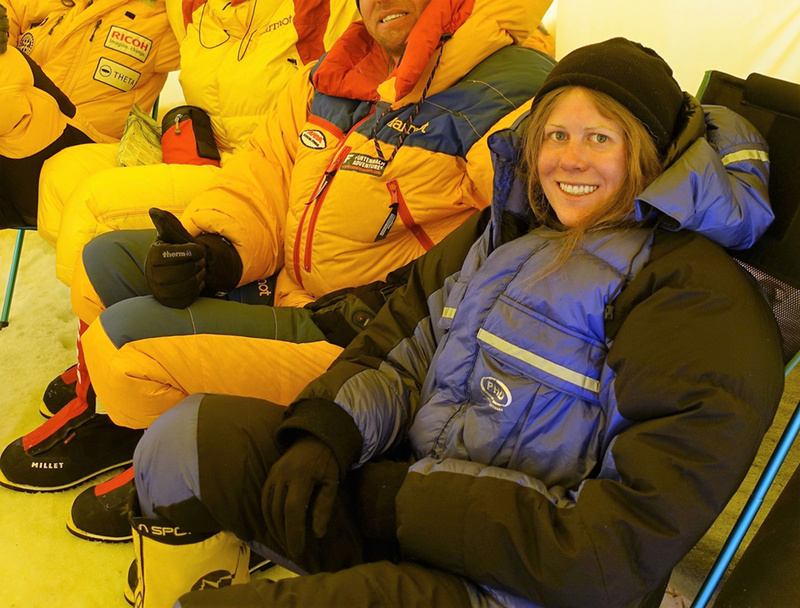 Olga Kotova - using Xero down suit on Everest. Box-wall construction for maximum loft. Differential Cut allowing full down loft. The ideal lightweight suit for today's fast ascents. It has seen many summits on Everest and the other 8000m giants. The Xero suit has full expedition specifications, with box-wall construction, expedition-style pockets inside and out, a voluminous hood and many other features. 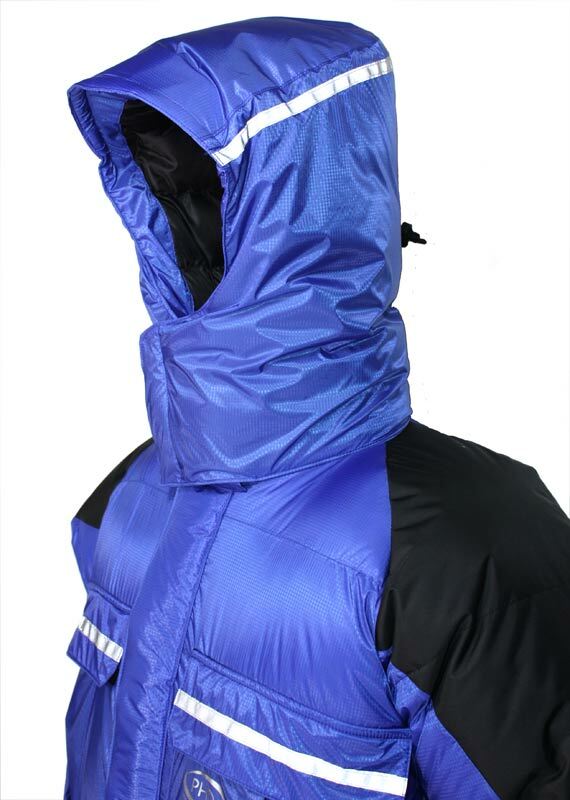 Designed to provide incredible weather protection on rapid high-altitude ascents or lightweight polar expeditions. 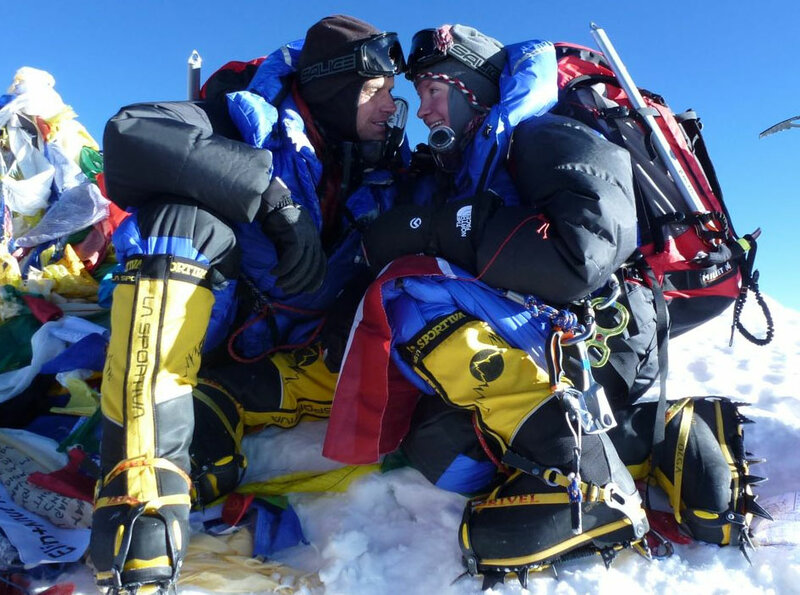 As used by the Xtreme Everest team, the UK Reserve Forces 7 Summit team, and many others. Included in Geographical Magazine's 'Ten of the best' list of essentials for 8,000-metre+ climbing. This down suit is now also available in custom sizes. 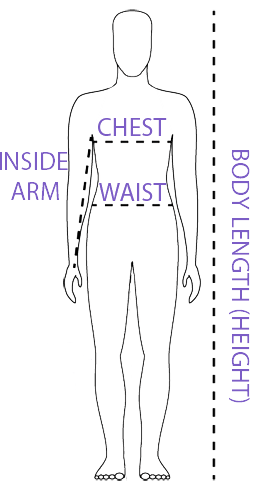 Specify Body Width, Body Length, Arm Length and Leg Length independently to order a made-to-measure dow suit. This tailor-made service can cope with sizes from XXXS to XXXL and is ideal if standard, ready-to-wear patterns are not a good fit for you. Please note: If you order a custom-sized version of this down suit it will take longer (approximately 45 days) to be manufactured ready for dispatch. Custom-sized versions of this down suit are not returnable and customer loyalty discount cannot be applied. "Fantastic ... felt toasty at -25C even when the wind picked up. It was a pleasure to live in them day and night." — Olga Kotova - using Xero down suit on Everest. 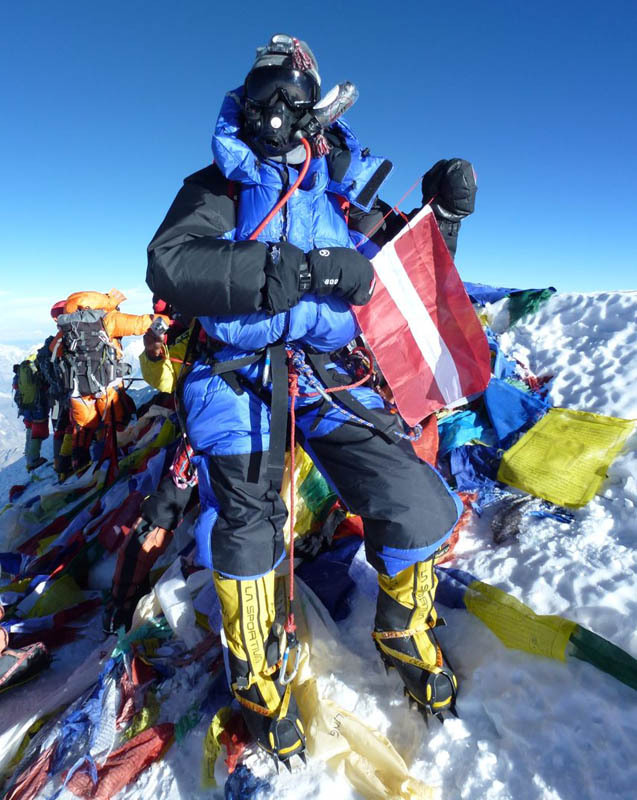 Olga was the first woman from a Baltic State to summit Everest. "I ordered a Xero down suit ... off you guys middle of last year. 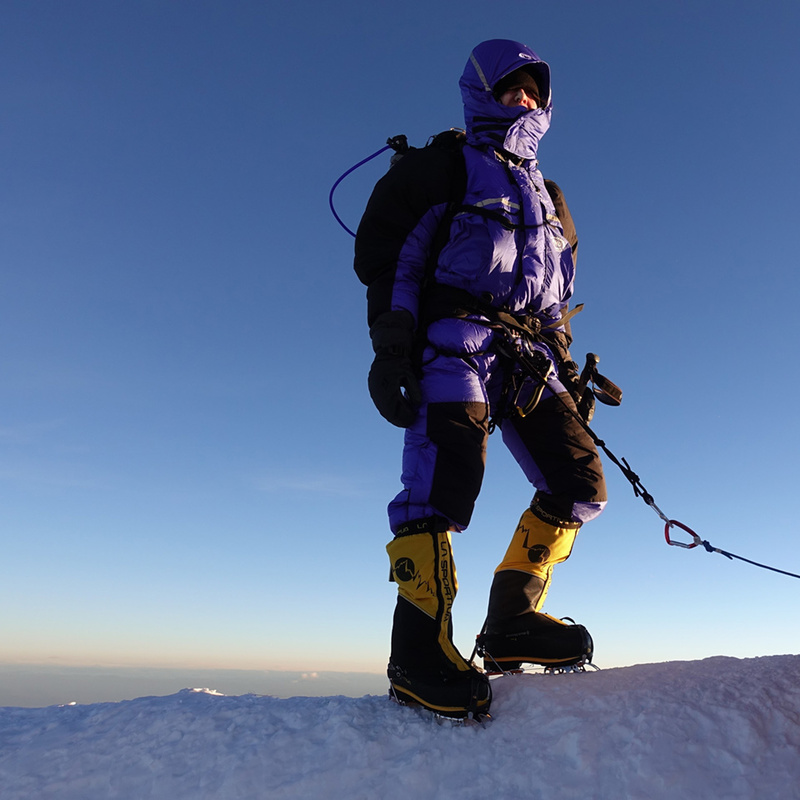 I used [it] on Cho Oyu and [it] worked fantastically ... I did put the gear through a thorough test and am totally happy with the way [it] performed." "Just a quick note to let you know that ALL 5 members of our team reached the Summit of Cho Oyo (8201m). I wore my Xero Down suit with 800 fill on the summit day and [it was] fantastic, the temp was -25C on the summit with a brisk 20-25 knot westerly wind, and I remained cosy warm for the 13 hours it took to get from camp 2 (7200m) to the summit and back down to camp 2. Thanks for the great gear." "One of the most practical one-piece 8,000-metre down suits available. With six pockets and internal braces reinforced in key wear areas ... Designed by the man who produced the legendary Annapurna duvet jacket, the wind and snowproof Xero sports the same box wall construction found in top flight sleeping bags. Fitted with articulated knees and arms for ease of movement."